Are you ready to grab the wheel and drive your E-commerce performance to new heights? CreativeDrive offers a full range of ecommerce solutions with an experienced team than can audit, create, deliver, analyze, and optimize a best in class ecommerce experience across all platforms and around the world. We focus on the entire customer journey and total experience to help you elevate your business! Your online store is critical to your success. From design and development to management and fulfillment, CreativeDrive can help you build a customized ecommerce website on any technology platform. 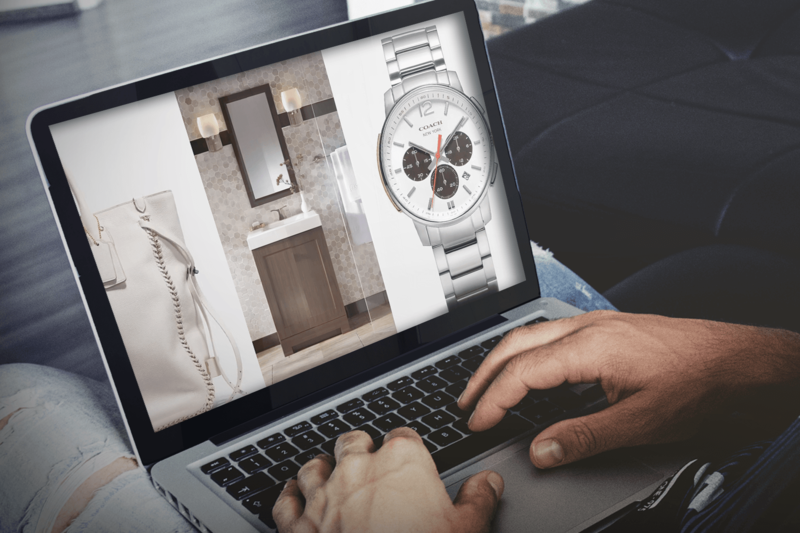 We understand consumer demand and shopping behavior, and can work with you to create a site that’s true to your brand while delivering a flexible, world-class shopping experience to drive business growth in any market globally. Selling on Amazon is complex, resource-consuming, and increasingly complicated. CreativeDrive can help you accelerate growth with scalable, full-service store strategy and management solutions. Let our experts manage the entire process or fill in the gaps with product content creation (including photography, copy, video, and CGI), inventory management and fulfillment, item data management, ongoing SEO, conversion rate optimization, AMS campaigns, reporting, and analysis to drive continual improvement. Opportunity knows no border. Beyond translation or multi-lingual website development, CreativeDrive can customize and transcreate content to speak to consumer behaviors and local cultures expectations around the globe. Today, the customer journey is more fragmented than linear. Customers experience your brand and learn about your products through a mix of channels and platforms, influenced by search, mobile, video, social media, and more. CreativeDrive understands this always-on landscape and can identify points of engagement to craft an effective and impactful E-commerce strategy to boost your business’ bottom line. Take your brand to new heights with an integrated, comprehensive digital strategy that ensures your paid, earned, and owned media are working together seamlessly. We’ll figure out the smartest way to reach your sales and conversion goals using proven SEO strategies, pay-per-click campaigns, search engine marketing, social media marketing, and more. Today,CreativeDrive leverages top tools and platforms to deliver critical, data-driven insights around sales, traffic, orders, fulfillment, ranking, consumer sentiment, and more. From day-to-day reporting to continual optimization CreativeDrive can build a custom strategy to accelerate your business. Enhanced content, including Amazon A+, syndicated Webcollage, or platform-specific rich media, can have a powerful effect on conversion rates. In fact, Amazon estimates that brands can expect a 3–10% sales lift when A+ content is present. Depending on platform capabilities, you can add additional images, video, 360-degree views, interactive tours, and more. It’s one of the best ways to optimize a product detail page, and can give you an expanded platform for your brand images and voice. Discoverability is key to online success. Consumers can’t buy products if they can’t find them—and that’s where we come in. Studies show that most online shoppers do not click past the first page of search results, while a majority of shoppers don’t make it past the first 5 result listings, according to a 2014 Advanced Web Rankings study. At CreativeDrive, our experts understand how retailer search algorithms work. They not only focus on improving organic search results, they also work to elevate rankings within retail platforms—using content quality to increase conversion rate, improve relevancy, and boost customer satisfaction. It’s a win-win for you. Getting new items set up on online retailers is a complex process. Our team has years of experience and knows the ins and outs of optimized onboarding on every major retailer platform. We’ll help you set up new products variate items, publish content, and ensure accurate loading for attributes, specs, dimensions, and more. It’s a process that’s different for every retailer, and our experience will help make it go as quickly and smoothly as possible. Ready to rise to the top? We’ll help you and your team plan for tomorrow by optimizing what you’re doing today. Our team knows what it takes to succeed in the highly competitive online marketplace. We’re ready to work with you and get you started on the path to success.